Sweet “heart” accents stimulate feelings of that forgotten love. Made for that timeless romance the Sena Headboard is a beautiful addition to any bedroom in your home. 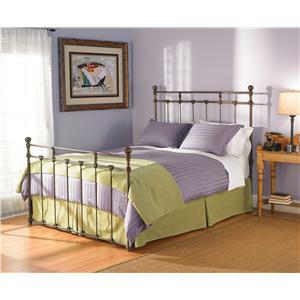 This headboard is available in twin, full, queen, king sizes. 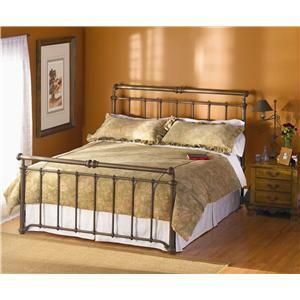 The Iron Beds Queen Sena Iron Headboard by Wesley Allen at Hudson's Furniture in the Tampa, St Petersburg, Orlando, Ormond Beach & Sarasota Florida area. Product availability may vary. Contact us for the most current availability on this product. The Iron Beds collection is a great option if you are looking for Traditional furniture in the Tampa, St Petersburg, Orlando, Ormond Beach & Sarasota Florida area. Browse other items in the Iron Beds collection from Hudson's Furniture in the Tampa, St Petersburg, Orlando, Ormond Beach & Sarasota Florida area.